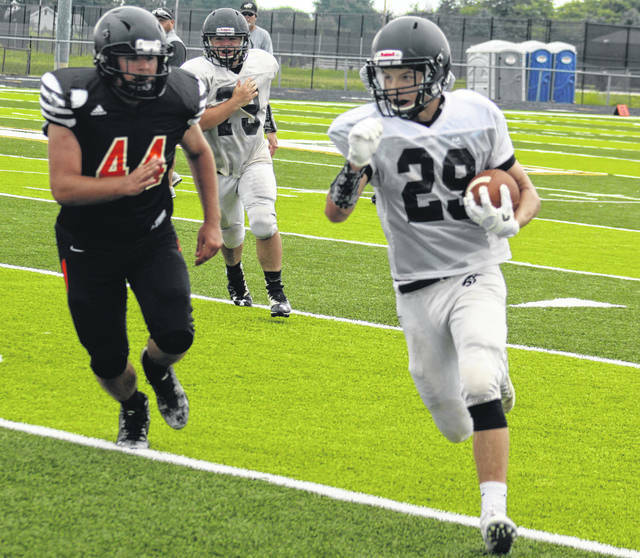 Miami Trace junior Caden Sweitzer, at right, carries during a scrimmage against Waverly on the new field at Miami Trace Saturday, Aug. 11, 2018. Jayden LeBeau, at left, a freshman, is approached by defenders for Waverly during a scrimmage at MTHS Saturday, Aug. 11, 2018. 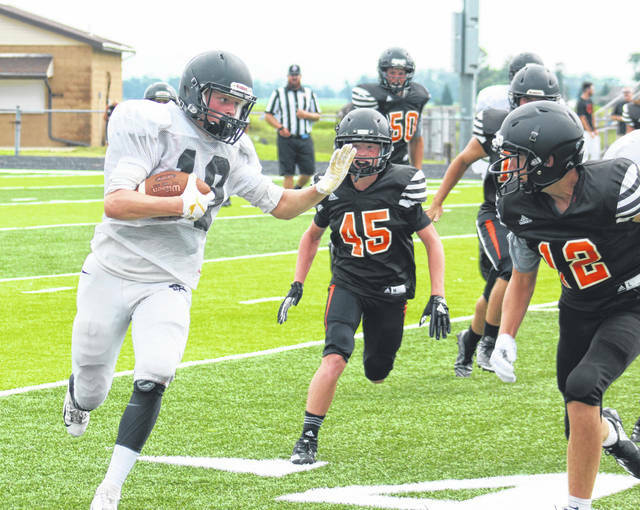 The Panthers will have a final scrimmage at home Friday at 7 p.m. against Westfall. The season opens Friday, Aug. 24 at home against the Circleville Tigers.